TURBISCAN™ CLASSIC helps to optimise the pre-formulation work at emulsions and suspensions by giving a quick insight into the instability phenomena like particle migration and agglomeration. This updated version of the first TURBISCAN is still a success after 20 years. Stability and shelf-life are key parameters in formulation studies. 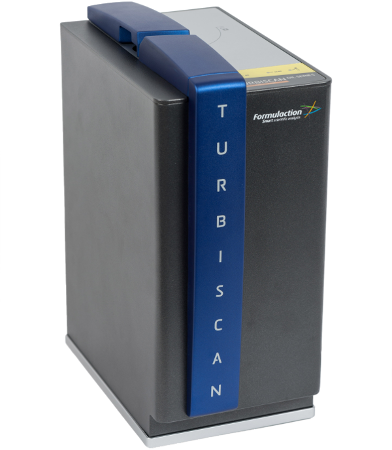 TURBISCAN CLASSIC 2 is the first patented technology to analyse destabilization mechanisms in concentrated media. Creaming, sedimentation, agglomeration, aggregation and coalescence are detected at a very early stage without dilution nor stress. Stability kinetics and index are provided for an efficient sample analysis.